Our school continues to be a school of choice in the surrounding suburbs of Karama. Our Early Learning Centre is near capacity, some of our classes are nearly full and our Out of School Hours Care continues to increase in popularity. With 30 new iPads pushed out early this year to support our BYODD program and a new playground for older students being installed, there is certainly plenty happening as we build towards 2019. Our Early Learning Centre receives a facelift early in 2019 which will allow it to continue to provide excellent service to our 2 ½ year old to 5 year old long day care. We have also just been advised that our funding for a new student undercover dismissal area has also been approved by the Federal Government. Along with works being carried out by Darwin City Council, this will see a much safer pick up area in the afternoon when many cars converge on the school. This year, we have engaged a local architect to work with our Project Design Group to re-imagine our learning spaces into 21st century learning areas. Rossi Architects played a major part in designing the new Catholic school in Zuccoli, Mother Teresa Catholic Primary School and now partner with us for our important project. With full School Board support, we will apply for funding of Stage 1 during 2019 with potential building beginning during 2020. With family, faith and friendship we are empowered to be architects of our learning. In the image of Jesus, we commit to excellence in Catholic education with the wisdom to be a merciful and respectful community with the courage to be successful 21st Century Learners. We hope to have our new Strategic Plan ratified by the School Board early in the year. 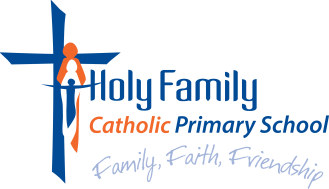 Holy Family Catholic Primary School is a small school situated in the northern suburbs of Darwin. Our school is located next door to O'Loughlin Catholic College, a Year 7-12 college. With our Early Learning Centre open for children from 3 to 5 year olds, we can cater for children on our site right up to Year 12. 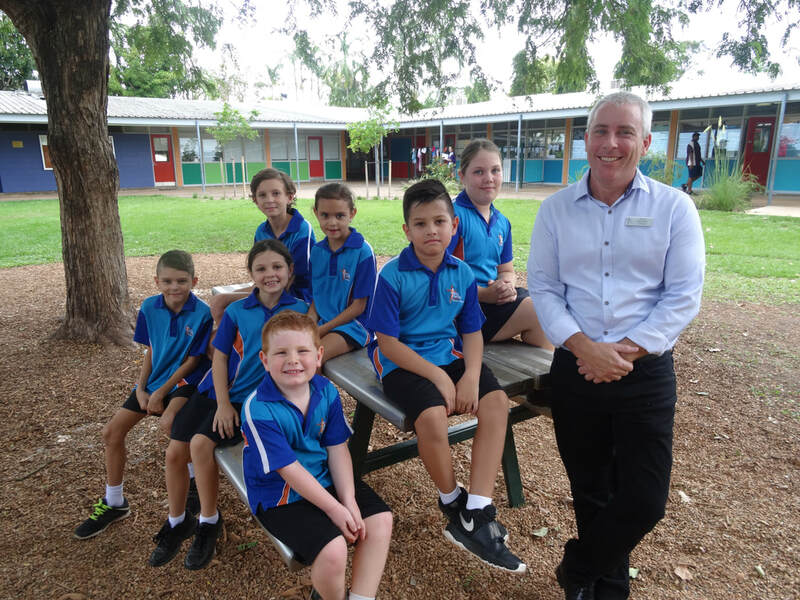 Please follow the link below to O'Loughlin's website: oloughlin.nt.edu.au to find out more about what they can offer your child and their education. After an extremely successful and busy 2018, we recognise the successes and build on these into the future. Our Learning Powers project (see below) continues to build on our vision With family, faith and friendship we are empowered to be architects of our learning. Our students and staff work towards being architects of our own learning by continuing to ask ourselves what it is we want to become and how are we going to achieve this. 2015 marked the beginning of our Bring Your Own Designated Device (BYODD) iPad program. A great deal of time, research, preparation, school visits, information sessions and planning went into this project and implementation was extremely successful during 2015. Working with upper primary students initially, and progressing down to the lower year levels, students continued to gain their iPad licence. The licence demonstrated that students understand the protocols of the BYODD program and iPad use at school. The licence and policy agreement enabled students to start bringing in their own iPad devices for educational use at school. During library lessons, students spend time learning new ways iPads can enhance their learning opportunities. Above on our tabs, you will note one for Learning Powers. This project began in our school in 2015 and is being supported by educational consultants to implement ongoing improvement in the school. We chose this as a framework for talking about and designing learning. It is about students learning how they learn. The seven learning dispositions are – Changing and Learning, Critical Curiosity, Meaning Making, Creativity, Resilience, Strategic Awareness and Learning Relationships. We are using these dispositions to frame our teaching and learning in the school to develop our students into deep, engaged learners or as our vision says authors of their own learning. Learning Power uses current research to support teachers to grow their teaching in the classroom. Through this project and with teachers and parents supporting each other, Holy Family Catholic Primary School is working at the forefront of education. Please follow the links below for more detail on Learning Power. We also had students complete the online perception survey called Effective Lifelong Learning Inventory (ELLI). This is an extension of the Learning Powers project and allows us to have rich conversations with students and how they understand themselves as learners. Staff also completed their own ELLI profiles and have set their own learning goals for 2019. We will all complete the inventory again late in the year and see where we have improved our Learning Power.